Patricia Kay Phillips (1921-1998) attended Dry Creek Grammar School, Healdsburg High School and Santa Rosa Junior College, graduating in June, 1941. In July of 1941, she went to work for the Premier Insurance Company on Montgomery St. in San Francisco. The following year, 1942, she became employed as a secretary for the Board of Fire Underwriters of the Pacific. In about 1942, she started dating Don Schmidt (1920-2001) and they married on October 19, 1943. While Don was away in the Navy, which he had joined in August, 1939, she continued to work, taking time out to spend six weeks with him in Seattle in December and January of 1943-44. 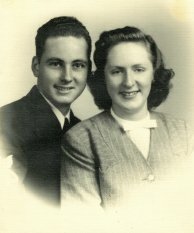 In April, 1944, Pat quit her job and came home to Dry Creek to be with her parents. On December 26, 1944, she left by train to join Don in Boston, arriving there December 30, 1944. He had been in the Caribbean and South American waters for nine months. They were in Boston for six weeks and then went via train to Newport News, VA, spending a week in New York City on the way. Don was assigned to a new ship, the aircraft carrier, the U. S. S. Boxer. When it was transferred to Norfolk, they moved to Portsmouth, VA. After it was commissioned in mid-May 1945, Pat returned to Dry Creek. In August, the Boxer arrived in San Francisco. While he was there, the war was over and he was discharged within two weeks. The war was over exactly six years from the day he first enlisted! After working for the Western Electric Co. until June, 1946, Don went to work for Pat’s father and managed the ranches. They have three children: Diane (Schmidt) Carriger, Brian L. Schmidt and Kay (Schmidt) Robinson. In 1947, they moved into great grandmother Jane Snider’s home at 4694 Dry Creek Rd. and lived there 10 years until they moved to the home at 5675 Dry Creek Rd. 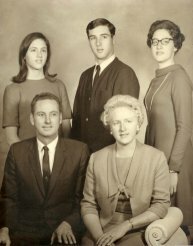 in 1957 with their grandparents across the road. The family continued the family farm by raising prunes and winegrapes.